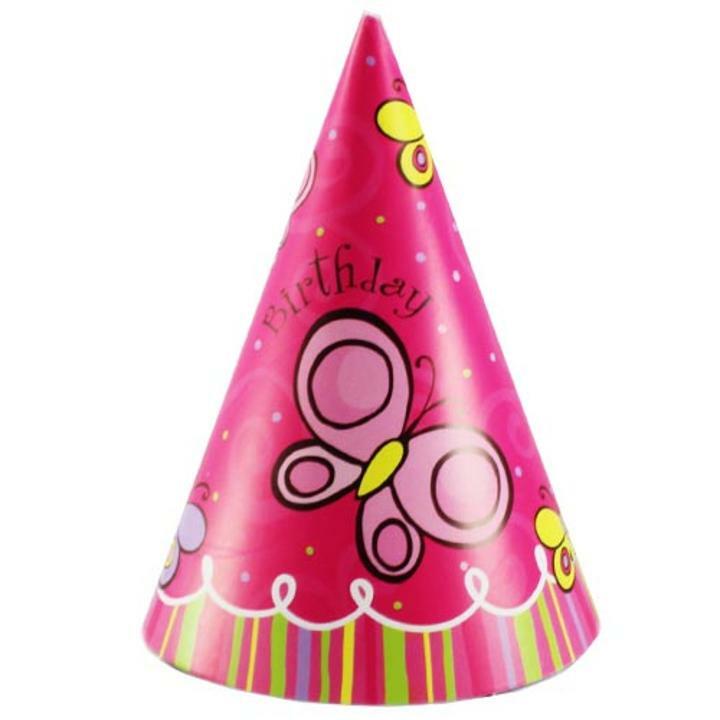 1 package containing 8 party hats with a cute pink and yellow butterflies design against a cerise background. These hats have elastic strings to help keep the hat on the wearers head. Great for little girl birthday parties.